Well-trained auditors identify safety risks and correct problems, ultimately preventing workplace injuries and fatalities. Safe practices for handling, storing and treating seed are one of 17 areas that may be covered during a ResponsibleAg facility assessment. 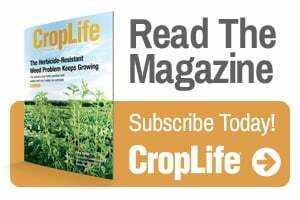 Historically, safety audits have been a dreaded necessity for many in the ag retail sector. But, as a true culture of safety transforms the industry, ResponsibleAg audits are viewed as a welcome opportunity to improve safety and the workplace environment for employees. This proactive approach to environmental, health and safety issues is about continuous improvement. Facilities participating in the ResponsibleAg Certification Program receive an audit by a ResponsibleAg-credentialed auditor once every three years. Auditors assess up to 17 areas of a facility, and the facility receives a corrective action plan listing any issues that were discovered. Being a ResponsibleAg auditor comes with the inherent responsibility to help locations keep people safe. At the heart of the ResponsibleAg initiative is the goal to provide accurate and credible audits consistently across the country. These audits are conducted by a group of professionals – either independent, contract auditors or internal auditors – who have successfully completed the ResponsibleAg Auditor Training Course, been credentialed and maintain their credentials by completing an annual refresher course. The initial auditor training is a hands-on experience, spanning four days. Auditors in training complete mock audits and are scored accordingly. 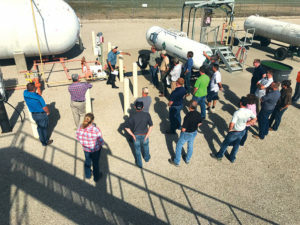 Proper storage and handling of anhydrous ammonia and the importance of the anhydrous system bulkhead in preventing damage from a truck pull-away event are key learnings during auditor training. “Communication is a huge focus of our training,” Miller says. “Our credentialed auditors are first and foremost educators. We don’t just conduct the audit and then go home. Our job is to work with each location to provide awareness and education about safe practices throughout the facility. “People want to be taught how to meet requirements and how to correct their hazards – ultimately creating a safer work environment,” he continues. Auditors strive to help each location address its unique set of challenges. Often, employees unintentionally compromise their own safety or the safety of a co-worker. A ResponsibleAg audit can assist a location in addressing and correcting these simple work habits or patterns. “As an auditor, my job is to assist in ensuring people go home the same way they came to work. 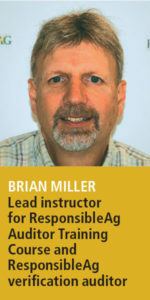 My passion for being involved with ResponsibleAg is knowing I may have helped prevent someone’s life from changing forever because of an accident at work,” Miller says. 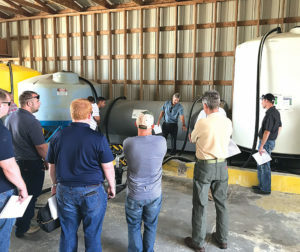 During a ResponsibleAg auditor training, Brian Miller explains how to determine the proper condition of secondary containment systems. To enhance the audit process, site managers can evaluate their experience following the audit. This feedback identifies possible areas for improving the overall process or even individual auditors. The ResponsibleAg auditing process and training course will continue to develop to meet the needs of participating businesses. 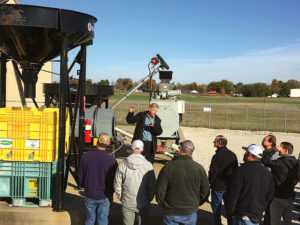 For more information or to register for the 2019 Auditor Training Course, June 18-21 in Owensboro, Kentucky, visit www.ResponsibleAg.org or call 270-683-6777.